Iris has always been the grounded, capable, and rational one; Lark has been inventive, dreamy, and brilliant—and from their first moments in the world together, they’ve never left each other’s side. Everyone around them realized early on what the two sisters already knew: they had better outcomes when they were together. 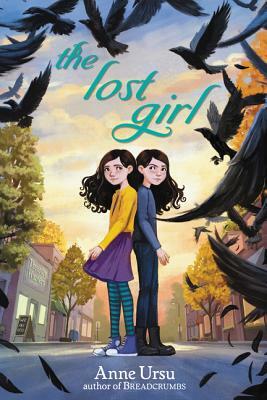 When fifth grade arrives, however, it's decided that Iris and Lark should be split into different classrooms, and something breaks in them both. Anne Ursu is the author of Breadcrumbs, which Kirkus Reviews called a "transforming testament to the power of friendship" in a starred review, and was acclaimed as one of the best books of 2011 by The Bulletin of the Center for Children's Books, School Library Journal, Publishers Weekly, Amazon.com, and the Chicago Public Library. It was also on the IndieBound Next List and was an NPR Backseat Book Club featured selection. She was also the recipient of the 2013 McKnight Fellowship Award in Children's Literature. Anne teaches at Hamline University's MFA in Writing for Children and Young Adults. She lives in Minneapolis with her son and four cats—monster fighters, all.